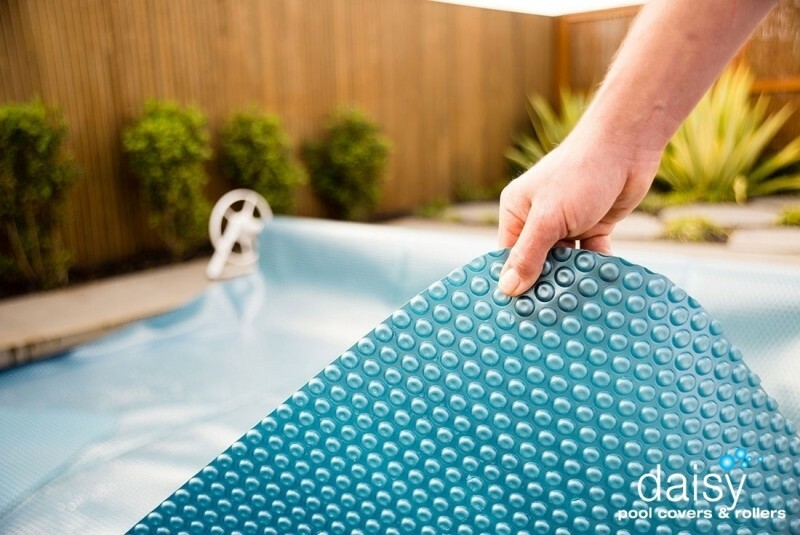 All you need to cover your pool – a Daisy bubble blanket will protect your pool and a roller will allow you to manipulate the cover off and on. It takes just 30 seconds to roll the cover off or back onto the pool water. This solar swimming pool cover can also warm your pool on some days by up to 8˚C completely for free by the sun. Refilling the pool water manually can be quite annoying. Even though your new solar pool cover minimises the evaporation while the pool is covered, you will still lose water when using the pool. With the automatic water filling system, you can skip this part of pool maintenance. More time to enjoy your new pool and have fun! The iRIS lighting controller allows you to take complete control of your pool lights through the elegant touch screen remote. Change colours, adjust brightness and have independent control of your pool & spa lights, all at the touch of a button. With over 30m line of range, you have the freedom to operate your pool lights from in and around your home. If you thought that you would purchase a pool with a swimming pool cover, Daisy pool covers are the ideal option. They are made of top quality materials, they look good and help you reduce the cost of maintaining a warm sustainable pool. Years of research and development by Daisy under Australian conditions has resulted in a technically innovative design that is exclusive to Daisy. The SB250 solar pool cover represents a popular option. As with all Daisy pool covers, it features Daisy’s trademarked UltraDome™ technology to outperform all others in terms of durability and insulation. The unique design and moulding technique enables the polyethylene (PE) bubble layer to be formed in a profile that is consistent in thickness. Maximum insulation and minimised heat and water loss. Save more of the sun’s warmth – on some days it warms your pool by up to 8˚C for free. Save on water – up to 10,000L per month by improving water retention. Save on heat loss – reduced heating costs and heat loss. Save on cleaning – pool cover helps keep out dirt and leaves. Save on chemicals – reduce salt and chemical use by up to 50%. Save on time – comes with a roller and thus, rolls off and on in 30 seconds. Save on evaporation – reduces evaporation by 97%. Save money – higher quality, better design, lasts longer. Save with a rebate – check with your local water authority. Control all your pool lights comfortably with this touch device. 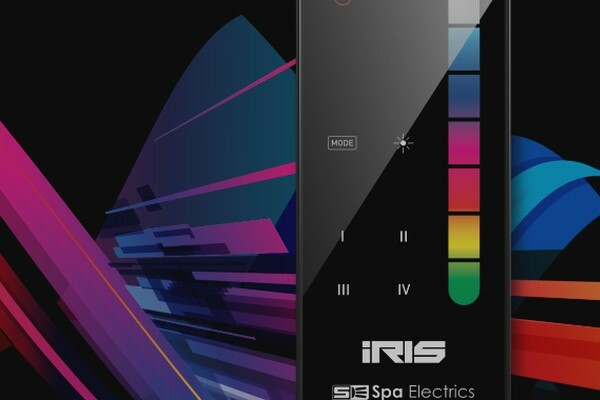 With the iRIS lighting controller, the perfect lighting show is always at your fingertips. Power button with LED indicator – LED indicator remains illuminated while remote is in an active state and changes colour to indicate the selected lighting channel. 7 static colours – choose the colour to suit your mood. With a choice of 7 stunning static colours, you can completely transform the look of your pool at the touch of a button. Pool/Spa channel selection – independently select the colour of your pool and spa lights using the Mode selection button. Brightness control – now you can select how bright you would like your lights using brightness control. Select between 3 levels of brightness for the perfect lighting effect for your home. 4 multicolour modes – whether it’s a romantic night or a party to remember, the iRIS has a colour show to suit every occasion. Select between 4 multicolour modes from tranquil blues and whites to fast beat party modes, or simply sit back and enjoy the colours of beautiful Australian sunset.